Aah, Fall is in the air, death is all around us. The leaves are falling, the harvest is done, and the spirits are getting ready to rise once again. This is the time of year when we can embrace our dearly departed and be with them one more time. Dia de los Muertos is a Mexican holiday derived from the Aztecs who worshipped the goddess Mictecacihuatl, Queen of Mictlan (the underworld) and married to Mictlantecuhtli. Her role was to watch over the bones of the dead. 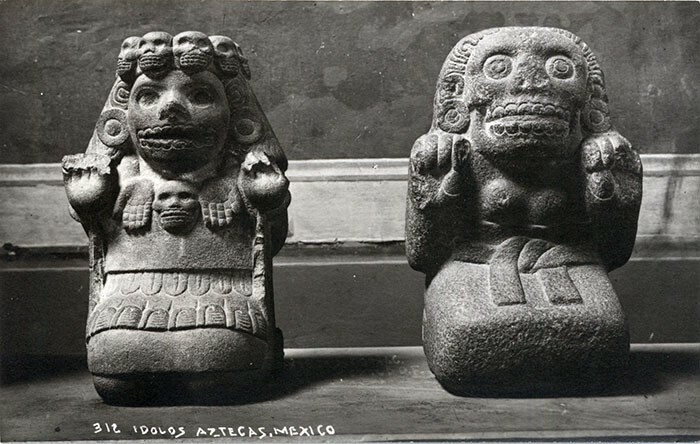 The Aztecs would celebrate for month in her honor, but as with a lot of the ancient rituals Christianity stepped in and the old ways were merged with the new beliefs. This holiday is a bit like the Allhallowtide: All Hallows Eve, Hallowmas and All Souls Day; it is a three day celebration beginning with October 31, All Hallows Eve. On All Hallows Eve children make altars for dead children as it is believed that the gates of Heaven will open for 24 hours at midnight, so that these innocent children may return for a visit on November 1, Dia de los Inocentes (Day of the Innocents). Families sit at the gravesite of their deceased children on All Hallows Eve so that they may welcome them home at the stroke of midnight. On November 2, Dia de los Muertos, families visit the cemeteries and bring gifts and decorate the gravesite of their adult loved ones, as this is the day the adults are allowed to return for a visit. You will find altars built for this day in homes, public offices and even schools as a way of honoring the dead. Orange Mexican marigolds (Flor de Muerto) are used in decorating both the altars and grave sites as they are thought to attract souls. 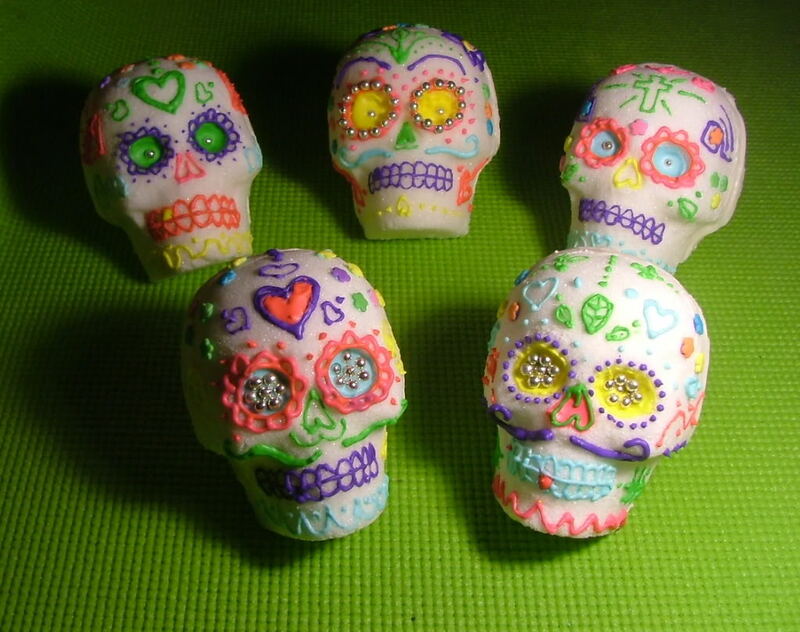 Sugar candy skulls are another popular item to be found as an offering. Back in the 17th century sugar art was introduced to Mexico; it was quickly picked up as a way to make decorations for various religious ceremonies as precious metals and jewels were hard to come by. Other countries especially those influenced by the Roman Catholic Church have adopted their own traditions for this very special way of remembering our dead. So just remember this Hallows Eve it’s a time of celebration, not fear. Go out and embrace Death, for it may be someone you love! 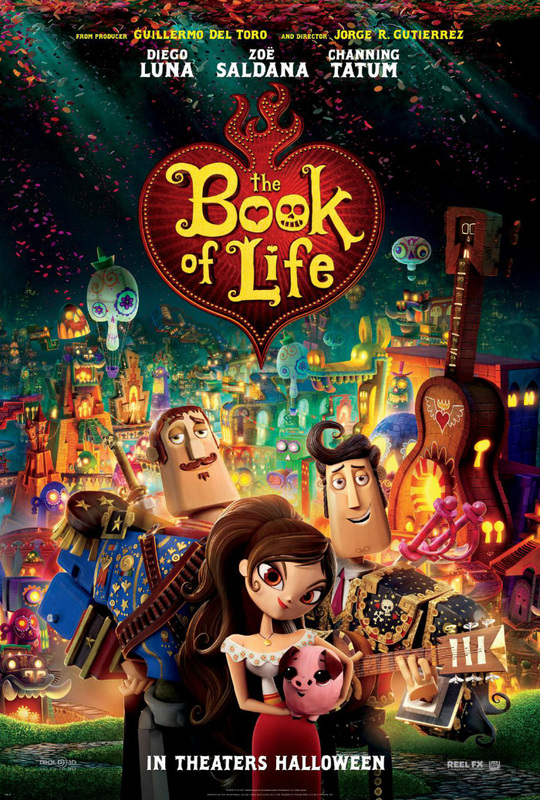 And, check out the trailer for Guillermo del Toro’s latest, THE BOOK OF LIFE, because life isn’t just for the living! Directed by Jorge Gutierrez, this film promises to be a visually stunning delight. Two spirits, La Muerte and Xibalba have a bet going on as to who shall win the heart of Maria (Zoe Saldana). When it looks as though Manolo (Diego Luna) may win rather than Joaquin (Channing Tatum) a snake is sent by Xibalba to kill him. Here we follow Manolo’s journey back from the dead to be with Maria once again. Release date is set for October 17th. Alrighty with all this talk of the dead, George Romero keeps popping in my head, which of course has nothing to do with the holiday, but it’s still a ‘ell of a flick. http://youtu.be/5g9XorBCikM So guess what I’ll be watching tonight? !